Researching and planning is half the fun for me. For hotels I first figure out what part of town I want to stay in (good location is key) and I look for smaller, boutique style hotels/ B&B with lots of local charm and character. I use both Trip Advisor, Hotels.com and various travel blogs I follow. When I found Casa Lola my search was over. This place is INCREDIBLE - the design and decor is straight out of a magazine.The vibe and energy are so zen and calming with the water features and plants everywhere. Major wannabe gardener envy. During breakfast I kept daydreaming about my pothos growing that long. Best part of all?! My room was only $130 a night!!! I had a massage (score for $30/hour) in on of the suites and it was definitely worth an upgrade! Look at those pothos!!! Loved how lush this open air restaurant was!! My flight arrived around 4pm and a nice young man met me at baggage claim holding a sign with my name to take me to Casa Lola (transportation to hotel was included in rate). I was so impressed with the hotel I stayed hung out there the whole evening and didn’t leave - had cocktails up by the pool, read my book and had dinner. The downfall of Casa Lola is noise and lots of light comes into your room - bring ear plugs and an eye mask. I imagine the noise is pretty standard in Cartagena hotels, lots going on at night! Had breakfast at Casa Lola (lovely fruit plate, fresh bread, fresh squeezed orange juice and my choice of eggs or pancakes) and then walked about 10 minutes to the “Old Town”, which is the historic walled city. 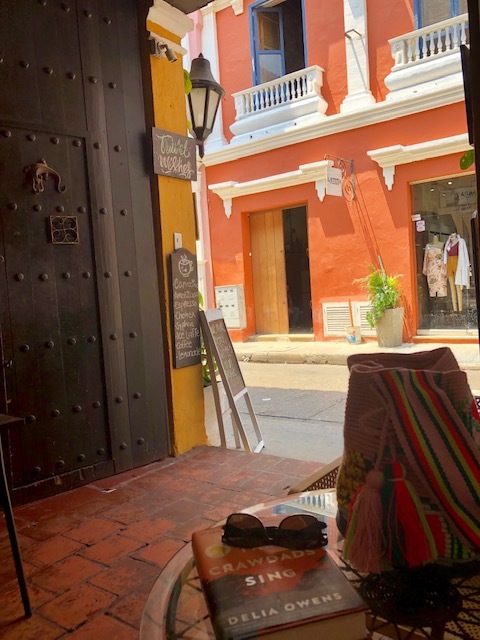 Cartagena is home to some of the most beautifully restored 16th, 17th and 18th-century Spanish Colonial architecture in Latin America - all contained in about 7 miles of fortified walls built to keep the pirates out. So much charm and bright colors!! Early on the crowds were low and most the shops opened up at 10am. 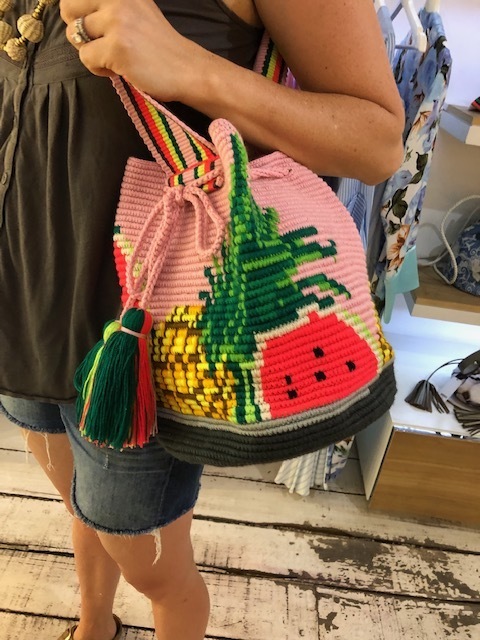 A few favorite stores were Glory Ang, St. Dom, Casa Chiqui (and the store next door, can’t remember the name…) and then I checked out every other artisan shop selling handcrafted goodies I could find. Love the darling “cochlilla” bag I bought at Glory Ang, my Cartagena treasure! My mochila from Glory Ang - LOVE IT!!! I had lunch - ceviche and a mojito at El Baron, which is a very popular place known for their craft cocktails. Walked around the Old Town more exploring - love the balconies covered with bougainvillea, so much color everywhere. Casa Lola is in the Getsemani, which is a very hip, bohemian part of town where locals still outnumber tourists. It’s a little “gritty”, nothing fancy at all with lots of street art, grafetti - I was assured it was a safe area and after going, agree. I still didn’t stay out after dark, which is one of my traveling alone rules. On night #2 I ate at a restaurant down the street from Casa Lola called Demente Tapas and it was SO GOOD - I think my bill for two tapas and a mojito was like $12…. 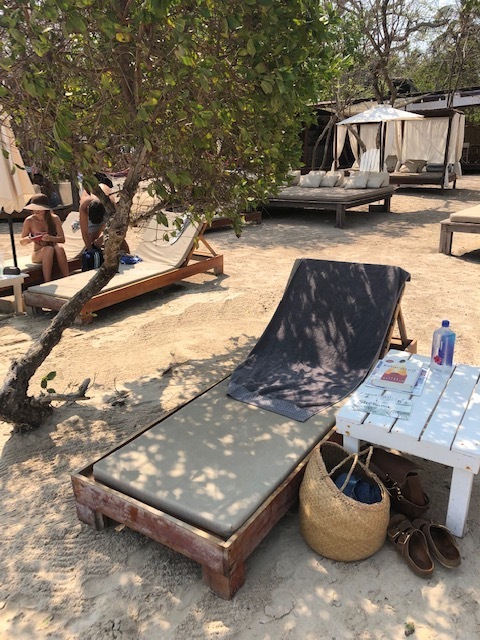 My space with my very own shade tree at Isla Bela! I had my own beach recliner under a shade tree and the staff kept my “coco loco” filled - was only like $6, so awesome. Lunch was included and my grilled fish with coconut rice and plantains were delish. I had a 60 minute massage for only 100,000 pesos, which is like $30. Had an awesome book - read both “Educated” by Tara Westover and “Where the Crawdads Sings” by Delia Owens and couldn’t put either down! After freshening up at Casa Lola, I walked back to the Old Town. Went up to Cafe Del Mar, which is a VERY busy/popular place for cocktails and for good reason - the view of the ocean is gorgeous, prime place to be at sunset. I HIGHLY recommend my dinner choice - Cande. A sophisticated couple I met at breakfast told me to go there- 100% authentic and traditionalCartagena cuisine. Was a little fancy with white table cloths, but not too formal - I was glad I wore a dress. I had a specialty cocktail, seared tuna salad and a coconut tarte for dessert - all so fresh, delicious, and beautifully presented for about $25!!! So good I ate there the next night as well. I took a cab back to the hotel cause it was dark, cost like $3. Cappuccino at Cafe San Alberto - best in Cartagena! I had breakfast at Casa Lola and walked back to Old Town to explore more. I wanted to have a great cup of coffee while I was in Columbia and the concierge at Lola’s told me Cafe San Alberto was THE place to go. 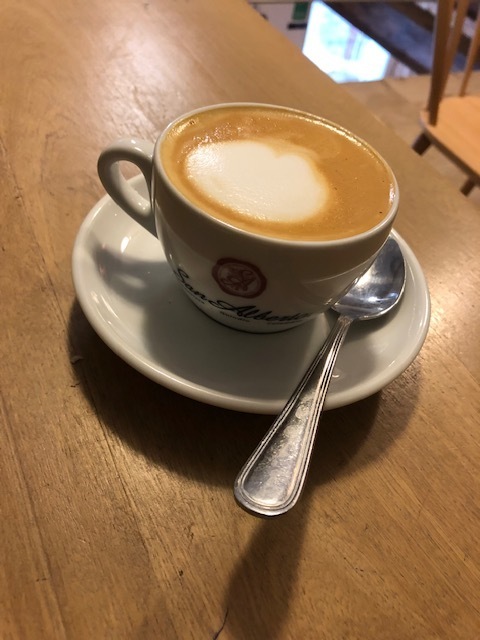 My cappuccino was SO GOOD - I cut coffee about a year ago and when I do drink it make it count. I love lots of milk and stevia and this didn’t need any sweetener at all! Walked around more and then found Cafe Central, which its a juice/smoothie/lunch spot perfect for spending a few hours reading my book and people watching. Returned to Casa Lola for my 60 minute massage - also just $30!! And then read more in the lounge area. Returned to Cande for dinner again and took the cab back. That night I didn’t fall asleep until about 4am - that one cappuccino I had in the morning had me wired (i’m super sensitive to caffeine and hadn’t had any in ages! ), still think it was worth it though. How could I go to Columbia and not drink any coffee?! 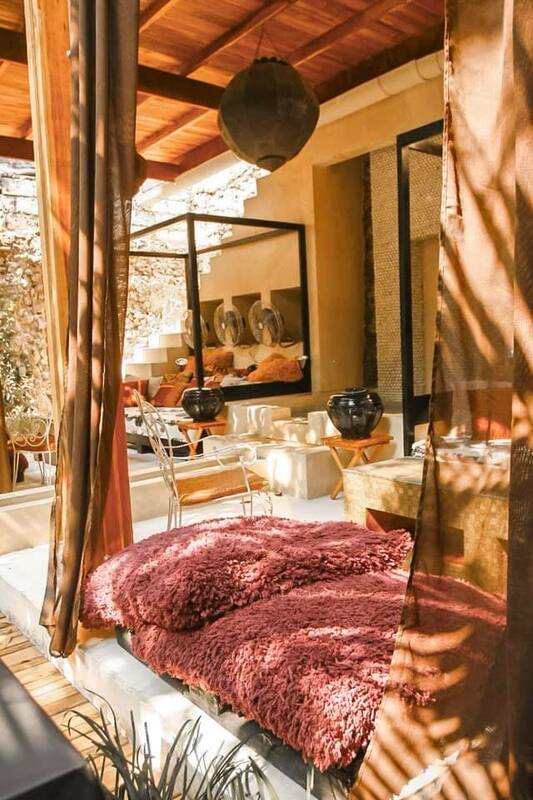 My reading spot - so gorgeous! My flight left at 9:30 and I cabbed it to the airport - everything went smoothly!! You need cash for cabs. I brought my credit card (always make sure to call prior to your trip to give a travel plan and set a pin for your card). 75,000 pesos was all the cash I ever needed, which was like $25. Everything else I used my credit card for, which gets the best exchange rate and gives protection. DON’T FORGET THE SUNSCREEN - that equator sun is MEAN!!! It gets loud and festive at night - bring earplugs and an eye mask if you’re sensitive to that. In the evening it gets really windy, like really really windy which surprised me - I think its a Springtime thing.